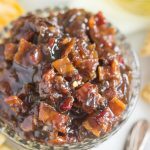 When I made this Whiskey Maple Bacon Jam last year, I vowed that I would never spend another holiday without a bacon jam recipe in my life. 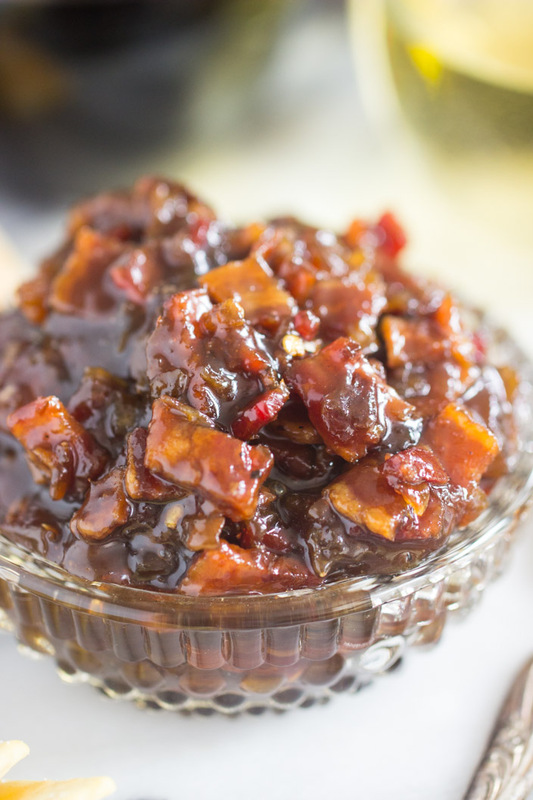 This year, I tweaked that recipe to bring you this Balsamic Brown Sugar Bourbon Bacon Jam. 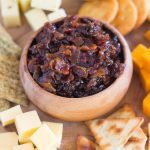 Last year’s bacon jam is so wonderful and unbelievable – why reinvent the wheel? I just made some adjustments to it, and this year’s bacon jam recipe is a grand slam. I’m telling you: bacon jam will blow your mind. If you haven’t tried it, you must. I was always intrigued by bacon jam recipes because they’re a strange and unusual concept. I wondered if bacon jam was just a gimmicky food, or whether it actually tasted good. Once I tried it though, there was no looking back. Every single holiday needs bacon jam! 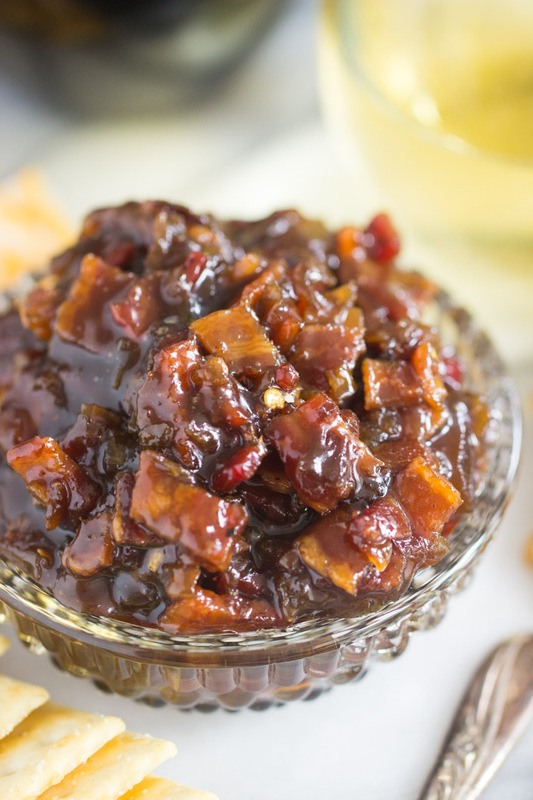 This Balsamic Brown Sugar Bourbon Bacon Jam is this year’s version, and I’m in love. 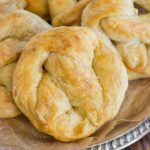 You can make a batch in an hour, from start to finish, and you can prep it in advance of your parties and get-togethers. 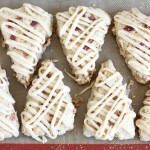 You will need recipes that you can make in advance so that your holiday is stress-free. 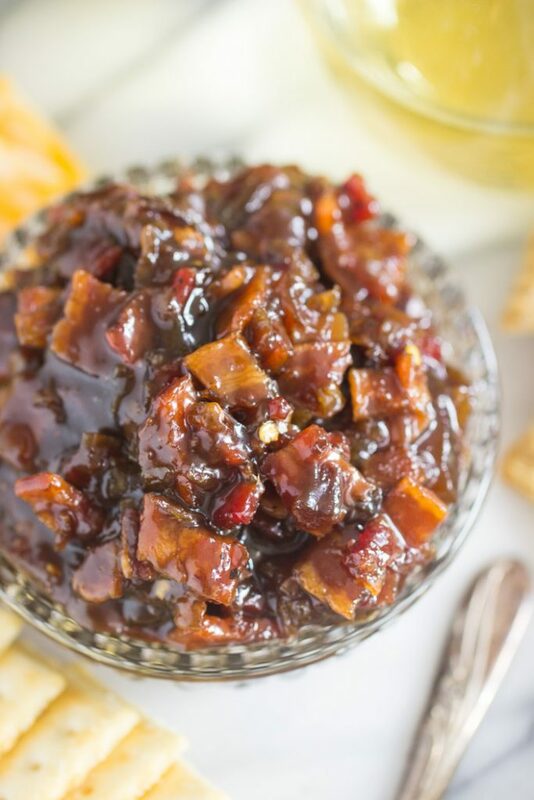 This Balsamic Brown Sugar Bourbon Bacon Jam will be the star of your appetizer tray! 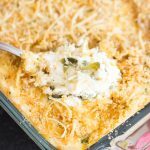 Everything else on the appetizer tray can be super simple – a variety of cheeses and crackers, as well as other meats, and it will make for an elegant and diverse tray. Pair it with Cameron Hughes wines, and your holiday get-togethers will be a smashing success. 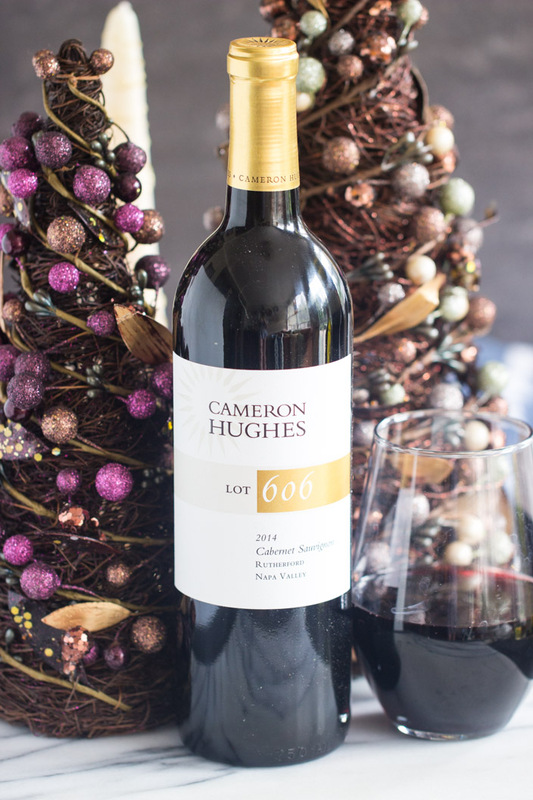 Cameron Hughes wines are exceptional, and are an extraordinary value. I’m a firm believer that great wine doesn’t have to be expensive, and I’ve made it one of my life’s missions to find the best wines that don’t break the bank. 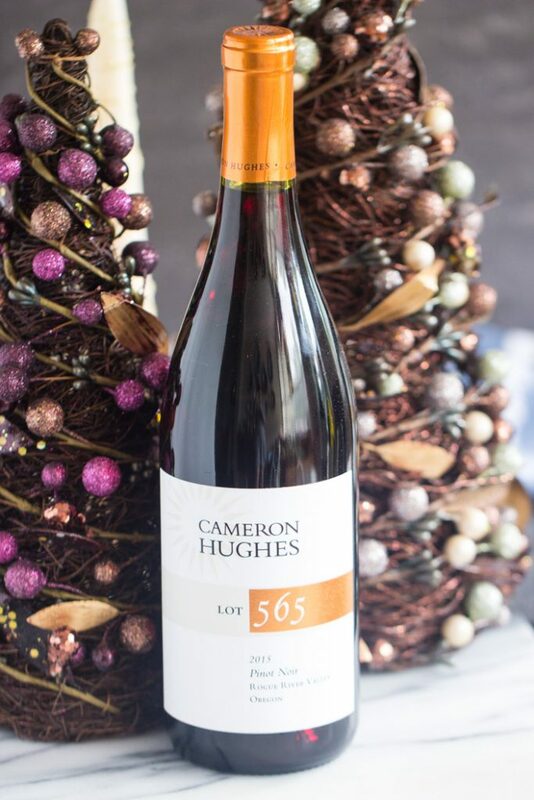 The Cameron Hughes mission is very similar – the best possible wine for the best possible price. That’s what their wines truly embody. 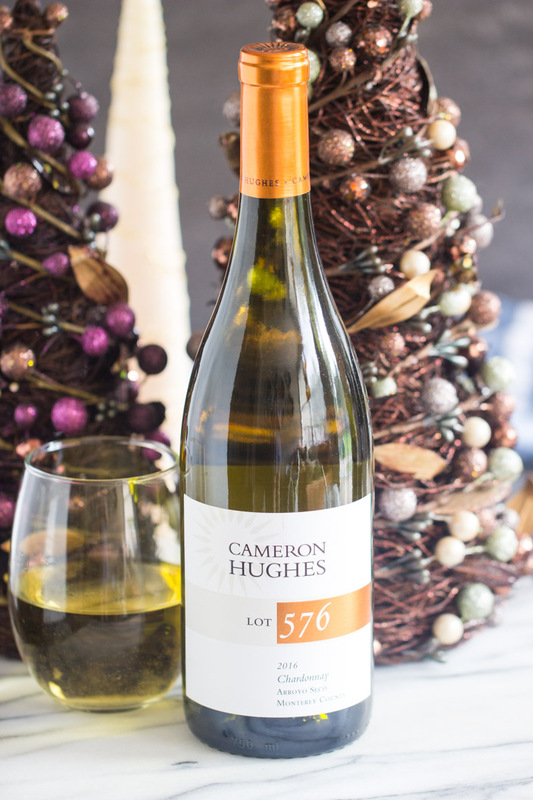 I’ve tried a few different bottles of Cameron Hughes wines, and I’m beyond impressed. I’ve opened bottles of the Pinot Noir, Cabernet Sauvignon, and Chardonny. I will always be a dry red girl at heart, so my personal favorite is the Cabernet, but I loved the Chardonny too, and I rarely drink white wine. It was fabulous. They’re ALL fabulous. I’m not kidding when I tell you that I immediately looked forward to taking bottles to holiday parties as gifts for hosts. We’ll be taking a few varieties with us to my in-laws for Thanksgiving, and we have a holiday party later this month at our good friends’ house. I will probably gift a few bottles to co-workers as well. 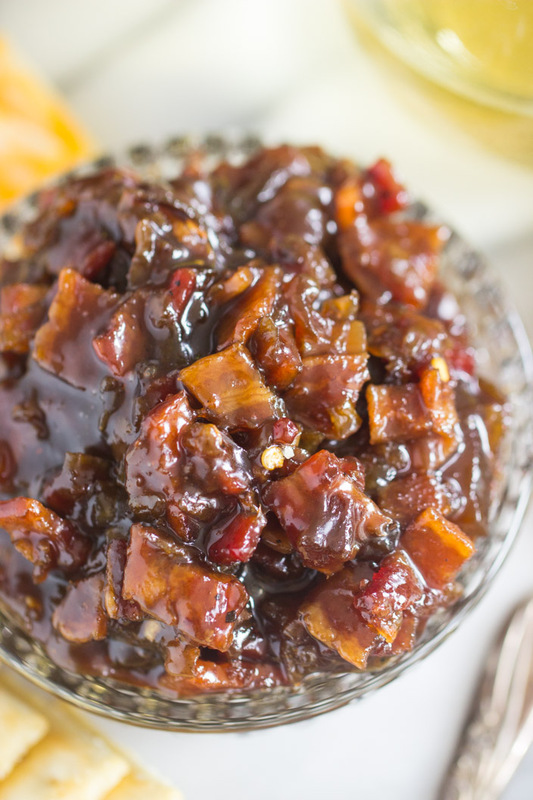 Don’t go to holiday parties without this Balsamic Brown Sugar Bourbon Bacon Jam!! The onions caramelize and become soft and sweet, which is complemented by the balsamic vinegar and brown sugar. 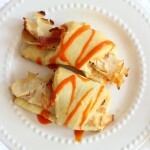 The smoky paprika and spicy red pepper are a nice contrast, and they cut through the sweetness. As does the salty, crispy bacon! The bourbon doesn’t hurt either. Adds a nice kick! 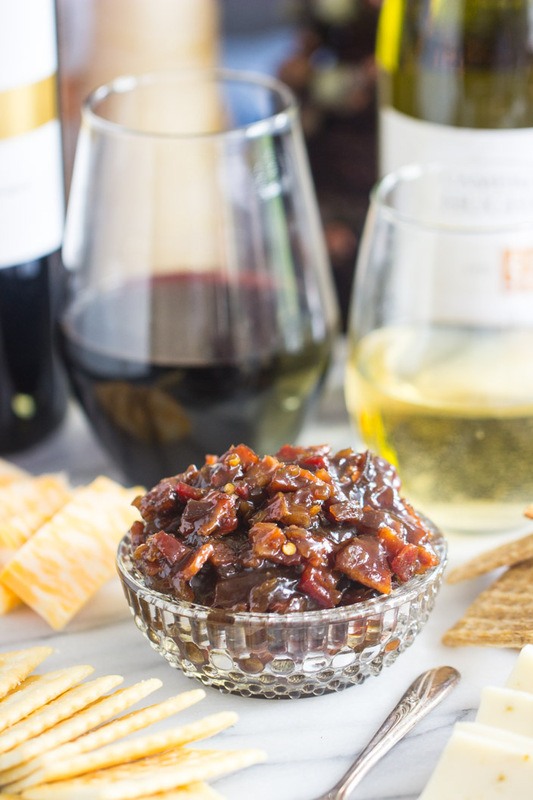 This recipe for Balsamic Brown Sugar Bourbon Bacon Jam is going to be your most favorite holiday recipe, guaranteed. Don't attend a holiday party without it! It's sweet, salty, spicy, tangy, and even rich! 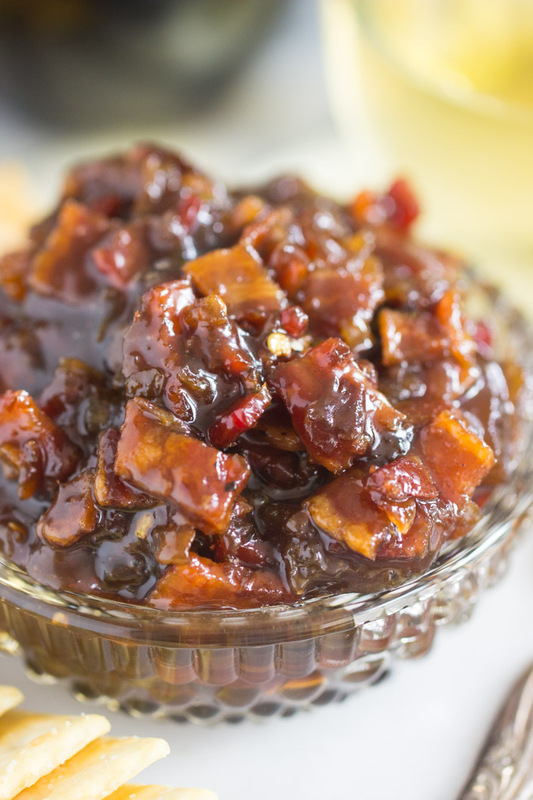 So many tastes represented in this Balsamic Brown Sugar Bourbon Bacon Jam! The recipe states it makes 8 servings. How much is a serving? It looks delicious and I can already smell it!